You must make reservations at least 5 minutes in advance of the time at FISH Honolulu. Validated parking in the SALT Kakaako parking garage on Keawe Street. First hour is free. Two hours is $1. Three Hours is $2. After three hours, the rate is $3 per 30 minutes. FISH Honolulu offers a mix of new and classic dishes with a modern, Island influence. The menu features fish sourced daily from the local fish auction. The food is paired with an extensive wine list as well as custom crafted cocktails and local beers. The dining area features a custom wall mural, fish scale bar and a unique louvered trellis that provides an unforgettable outdoor experience. We look forward to having you as our guest. Food and service were great! I recommend the oysters on the half shell, lobster roll, calamansi tarte , and the watermelon shochu sorbet! 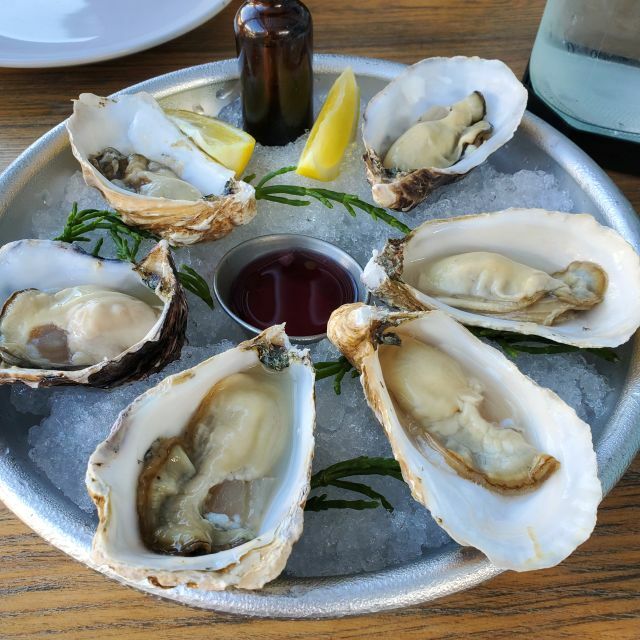 If you can make it for happy hour between 3:30p and 5:00p the oysters are 50% off and a great deal! Loved the chili pepper water in the glass eye dropper! Great way to portion it!! First timer, great menu was succinct and to the point. Fresh fish and lobster roll was tasty and service was attentable. Great service! Great atmosphere! Parking was nearby too! Ambiance is nice. Hot dishes were tepid if not cold by arrival to table. Had a hair at the bottom of my salad and there was zero acknowledgement. Fish has a great tasting menu. I've not have one bad meal there after eating there three times. I will say that the price point is not everyday dining. I like Fish for a special occasion or date night. Typically, the entrees run in the $30+ range, so add that to a drink or glass of wine, it does add up. Keep that in mind. I do like the outdoor atmosphere if the weather is not too hot. On one occasion, it was a very humid and hot night and it got to be a little uncomfortable. Other than that, I really like Fish and I think it's a great addition to the SALT complex in Kakaako. Some of the dishes were good but the staff seemed overwhelmed and the kitchen was very slow. This is my third visit, 2 dinners, one lunch. When I had Sunday lunch, the menu was very limited. My second dinner, we ordered essentially the same items. There was a noticeable improvement in quality, presentation, and even quantity. 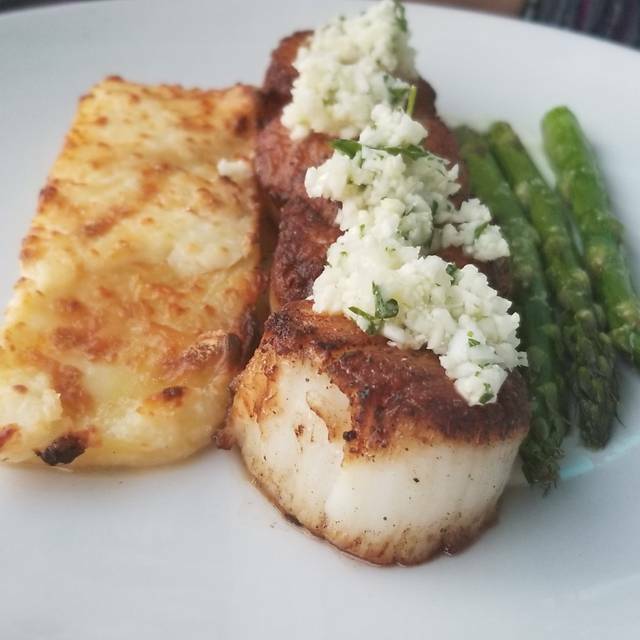 The scallops on cauliflower puree is reminiscent of a Gordon Ramsey creation; the search is perfect and the cauliflower puree raises the dish to a different level. 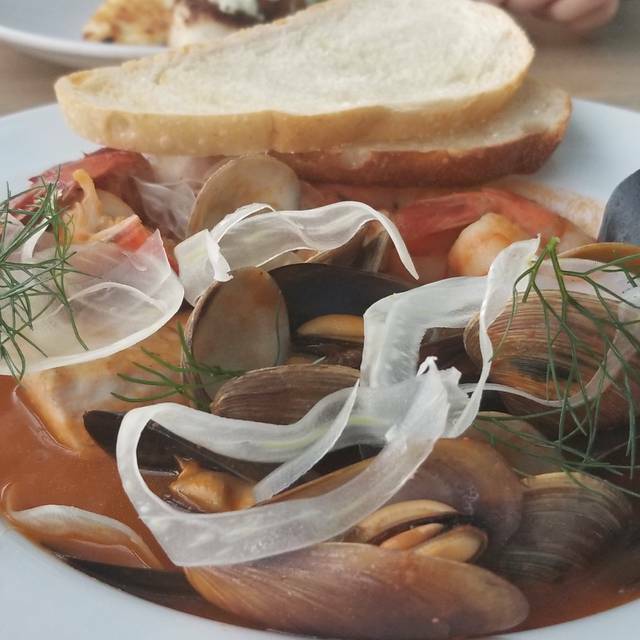 The cioppino this time was served with a hot rather than warm broth. The ingredients were more generous, it's clear that someone nicely balanced what is there: lobster, fresh fish, shrimp, and mussels . My only problem is with no bathroom of it's own, and that the ambience can be completely lost during inclement weather. Our server Malia was he best. Perfect blend of attentiveness and discretion. We think this place has potential, but the Calamari was tough. Service was slow. The decor was cool, and the drinks we ordered were good. They had my favorite bourbon, which was a plus. We had a delicious meal and our server Malia was charming and attentive to our every needs. The restaurant was clean and nice looking but the food was not at a satisfactory level. Did artichoke dip and crab cakes for pupus which were ok but just average. We both ordered the fish fry and it was dry, poorly seasoned and definitely nothing to be ordered again. Was leaning towards the burger but thought I should stick with fish in a place call “Fish Honolulu”. Shared the cheesecake for dessert which was the only dish that showed promise. All that for $75 ++ which seems high for lunch and for what we had. No drinks were purchased. Will not get a return visit and noticed restaurant seemed light on the local patronage. First, it was cold day, but this place is not completely close so all foods became cold right away. Also Happy Hour Menu was not much, just 50%off on cocktails but not included wine. Our server was friendly, nice and polite, no complaints against him. Need more variety of menu and Happy hour wine would be nice! We went with another couple. Shared starters - 1. artichoke and crab dip with toast was excellent. 2. 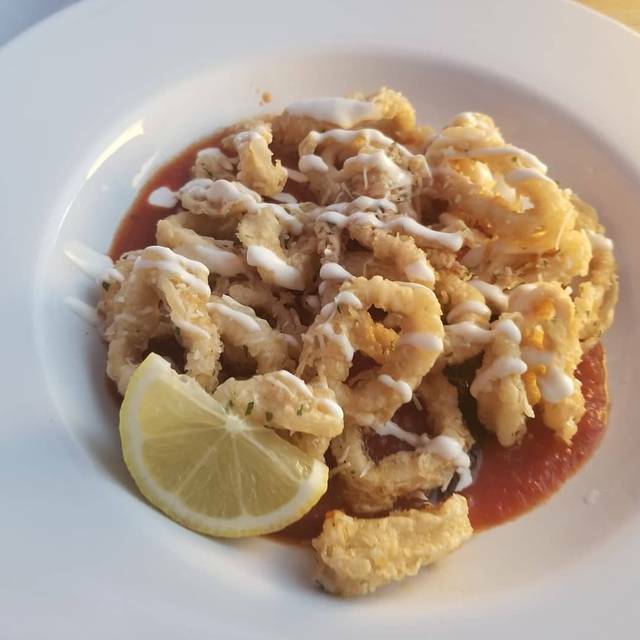 Calamari was also great having been cooked in a way that made it very soft, not chewy as it so frequently is. Drinks selection was adequate and included draft as well as bottled beers. My companions chose the risotto and the chicken as main courses. Both were said to be "as good as Roy's". My seafood cioppino was somewhat disappointing. At $32, I expected more variety in the seafood and more of it. The staff were top notch...... pleasant, attentive without being overbearing. We would go there again. My wife and I enjoyed Fish. The food was wonderful. The restaurant had a nice design. It’s right in the middle of Salt. But most of all the staff was terrific. Our server Dan was beyond amazing. I keep going back to this neighborhood restaurant. 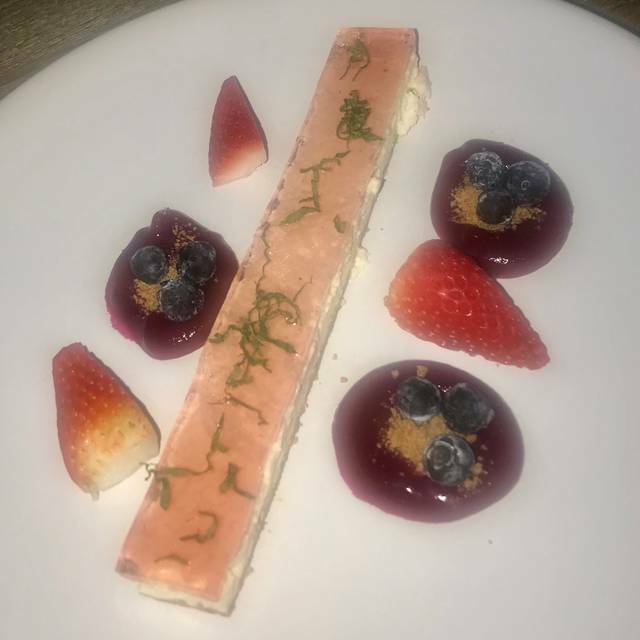 The food is very good, just creative enough to keep it interesting, and the service is perfect. Unlike other area restaurants, the servers seem genuinly happy to be working at FISH. They must be doing something right. I will keep coming! Great atmosphere, good food, nice service. Menu not overwhelmingly big, with good choices. Server was great. Food tasted good. Service was great! 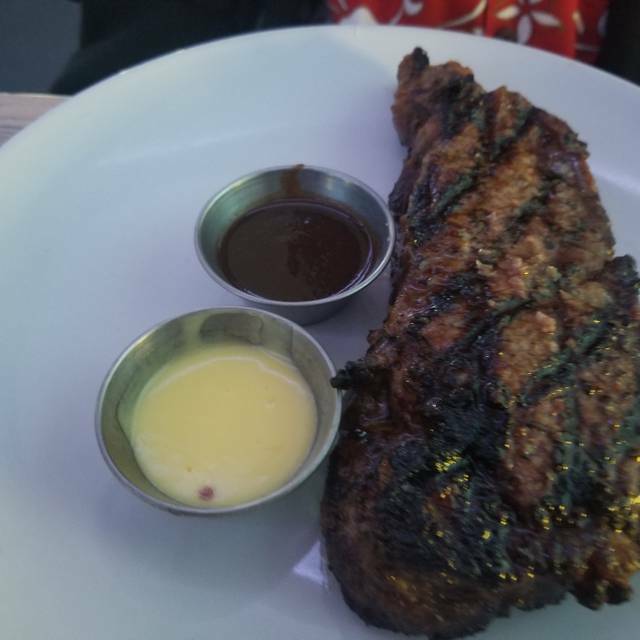 Portions were very small. I had the risotto with fresh fish. Tasted great but I had to stop on the way home and get something to eat. Next time I'll know to order two entrees. We thoroughly enjoyed our meal - the oysters were incredible. I would come back again just for those. Our entrees were also very tasty. Love the ambience of this restaurant- both hip and comfortable at the same time. We will be back!! Valentine’s Day dinner. Food was good but too expensive. Oysters and entrees were phenominal. Customer service was on point. Ambiance was perfect for date night. The day boat fish and crab cakes were both really good. Some people said the fish was not as impressive, but I thought this dish was very well done. Service was great, albeit it was not busy. Good service, pavilion setting is airy and pleasant. Had the ahi Niçoise salad which was ok; others at my table had the fish tacos which they enjoyed. Looking forward to coming back and trying other dishes. It was a quiet somewhat chilly night but we still loved the open air concept. All of our food was tasty and well presented. I like when restaurants suggest wine pairings. Good food, super service, and a nice selection of appetizers and wine to start and seafood dishes. Take a dip! The decor is aquariumesk and fun. We had excellent service and very good food, look forward to returning. a simple but distinctive design. Our server was attentive and efficient. 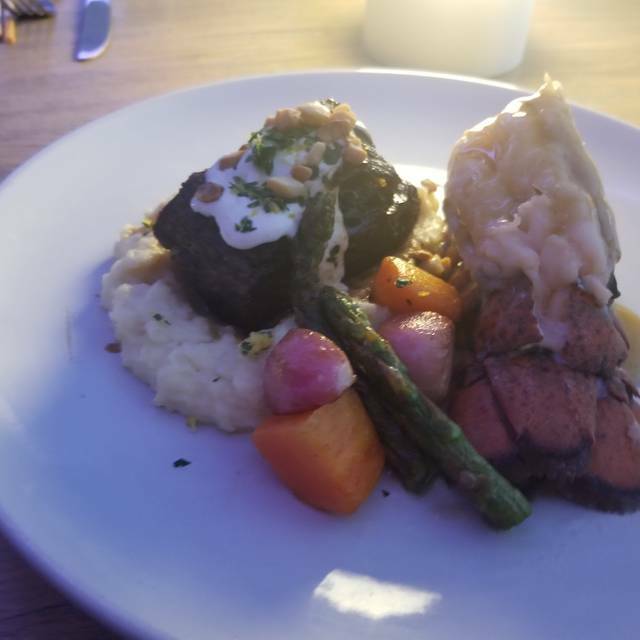 The food was delicious and beautifully presented, although two people ordered the Kona lobster and thought it tasted fishy. That didn’t stop them from eating it though! When we mentioned it to our sever just to give feedback she comped them from our bill. We were pleasantly surprised and thought the management here knows how to make guests top priority. We ordered the scallop appetizer which has an AMAZING sauce. Very yummy! If they bottled that sauce, I would buy it! We also tried the french fries, which were very good also. I had the fish board entree, which was a bit dry; lots of rice but no sauce. So I asked for some of the scallop appetizer sauce and poured it all over the rice and it was great! My friend had the fish tacos which she seemed to enjoy. My other friend ordered the iceberg lettuce salad which didn't seem to have much effort put into the prepration for the cost. Overall, great experience and we would return. We had a great dining experience. We we're seated during happy hour and enjoyed a glass of white wine and draft beer. Oyster shooters were part of tge happy hour deal, yummy! 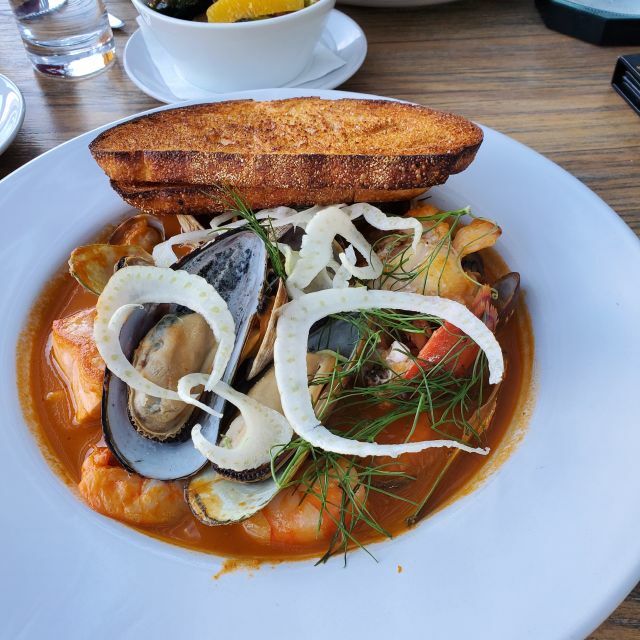 We split a yummy salad and enjoyed an exceptional cioppino and diver scallops. All seafood was cooked exceptional. The scallops, fish and lobster were exceptional. Service was great, professional and timely. Great ambiance, great atmosphere, unique, cool vibe. Good food but small portions. I've been to fish twice now. I love the venue, the al fresco dining and the friendly staff. The first time I went there, the original chef was there and the food was excellent. I had the crab stuffed Monchong in a light beurre blanc sauce. The second time I went, the chef was gone and a new chef on board. I had the same Monchong. It was overcooked (though warm when served) beyond belief. The crab stuffing was unrecognizable as crab. I would rather the new chef create his own dishes that he could be proud of rather than trying and not succeeding as copying dishes that he cannot execute well. I will go again and try something else as the venue and open air setting is so enjoyable. Every experience is different, try it! :) We did, ... yes I would go back. Service was outstanding...server was very informative with menu. We ordered oysters but they were out of some so we got discounted on the others (sorry cannot remember which oysters they were out of), they were really fresh and sweet. Lobster was very tasty as were the salmon. The casual atmosphere away from the tourist mob was great. Our server was friendly and helpful. The food was uneven. Great oysters and my wife’s fish was fabulous. 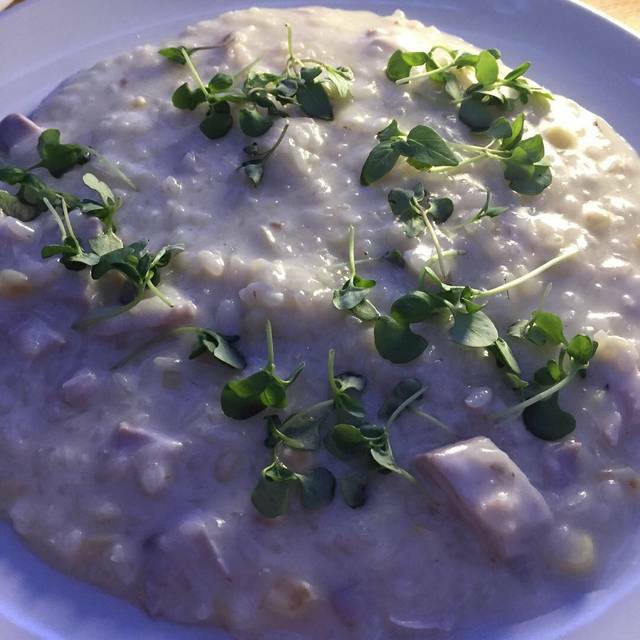 I was disappointed in the risotto. It was too salty and had a runny texture. The seafood in it was fresh however. Definitely worth a try. This place will WOW you at every level. The open air environment meshes with a warehouse district vibe and delivers a unique upscale dining experience. The portions are appropriate and not too large but filling. It was a pleasure to explore the menu. Jordan’s service was exceptional. Maybe a hair pricey but it is Honolulu. Great place in the kakaako neighborhood. Partly inside partly outside. Food was very good. Will go back to check out the lunch menu.